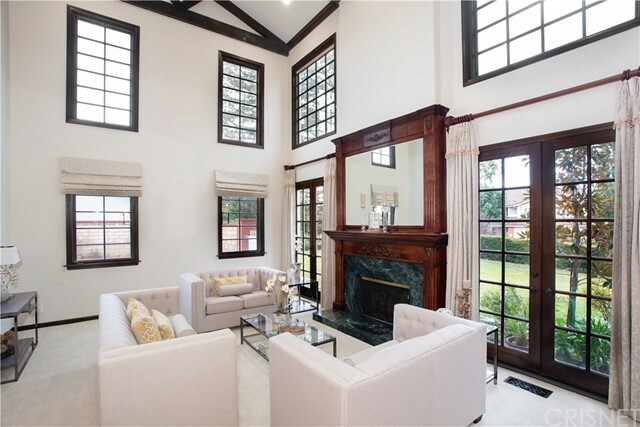 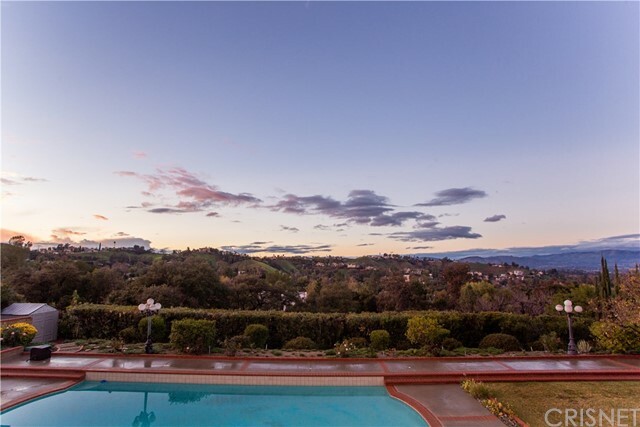 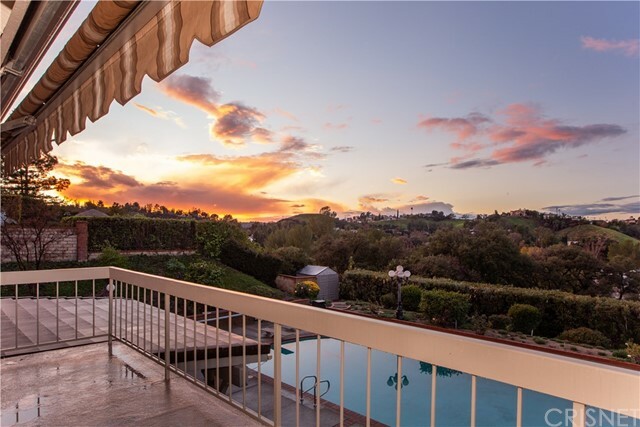 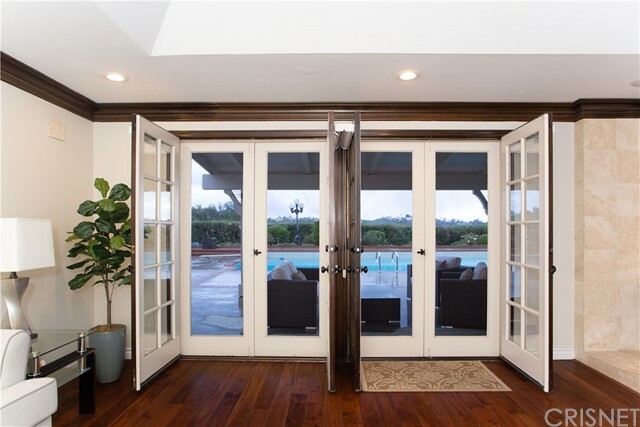 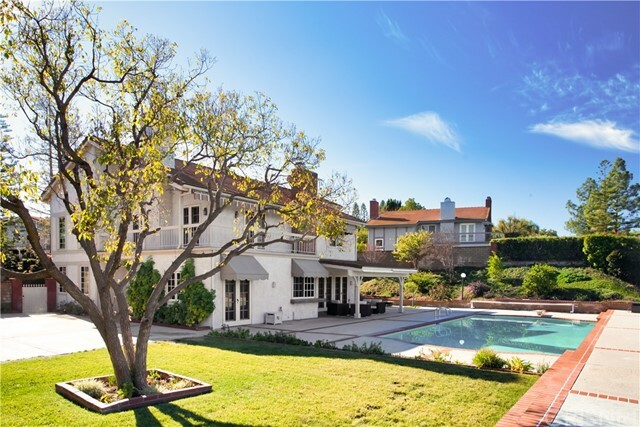 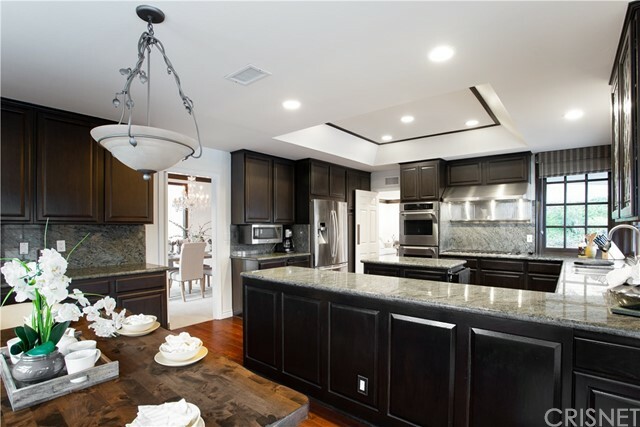 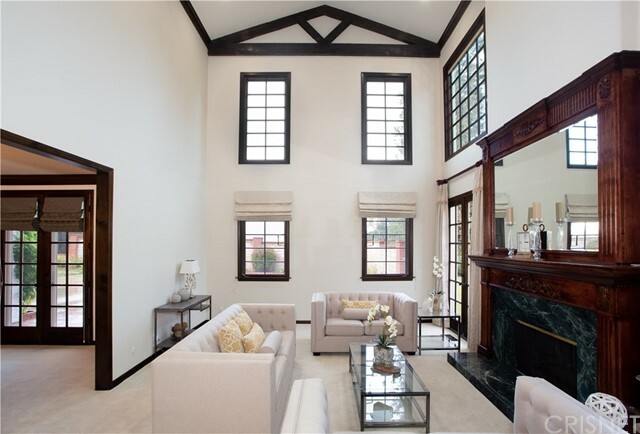 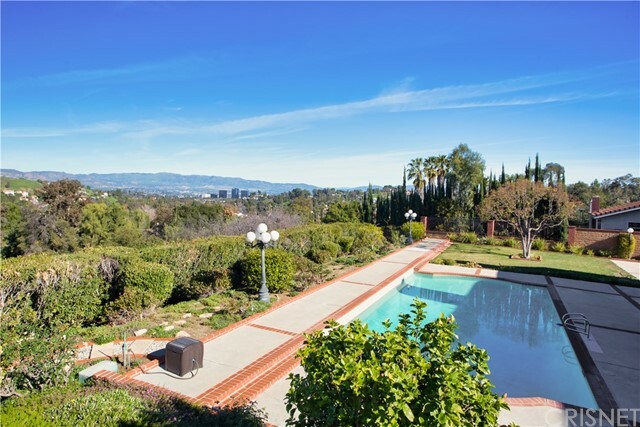 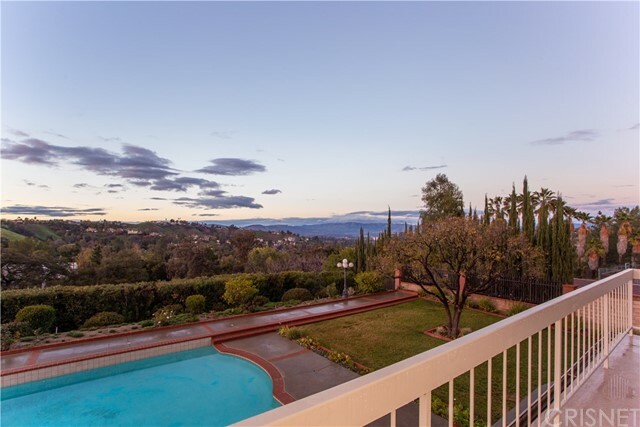 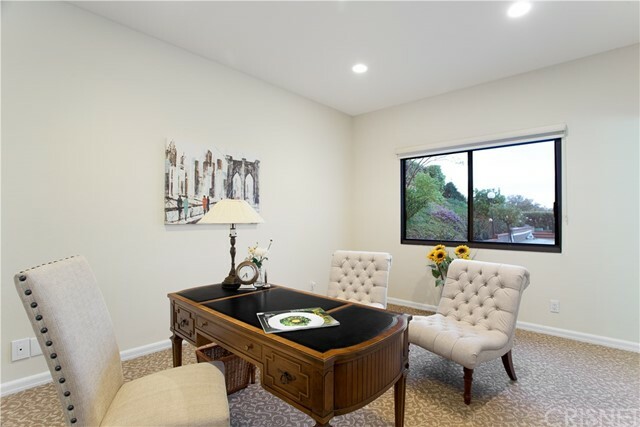 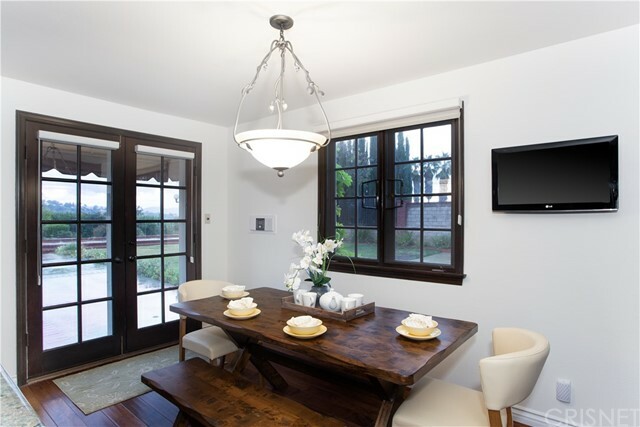 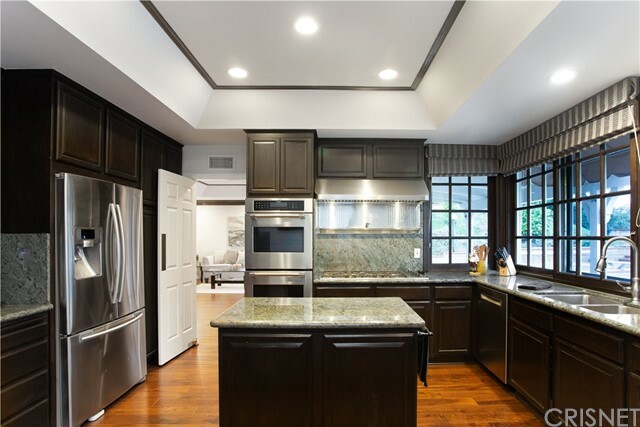 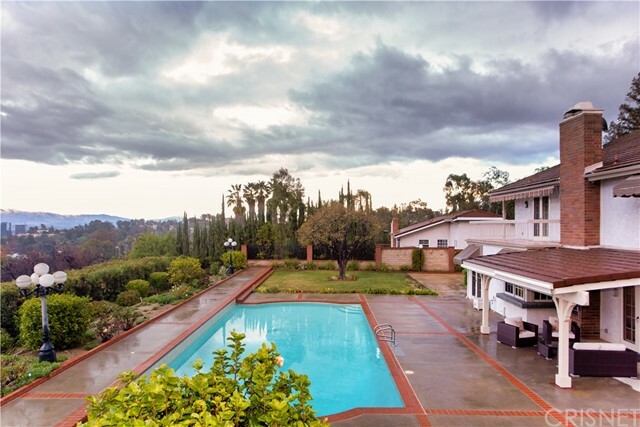 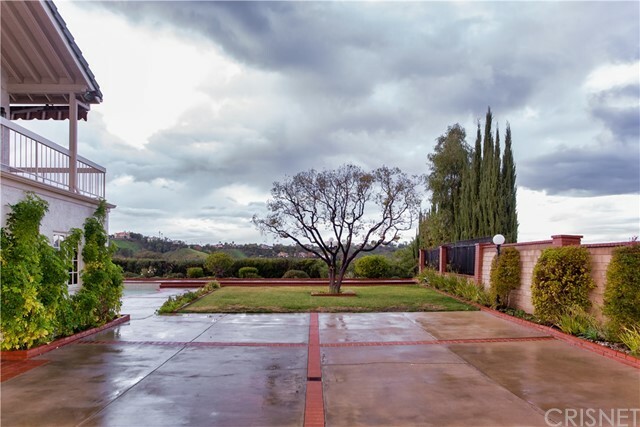 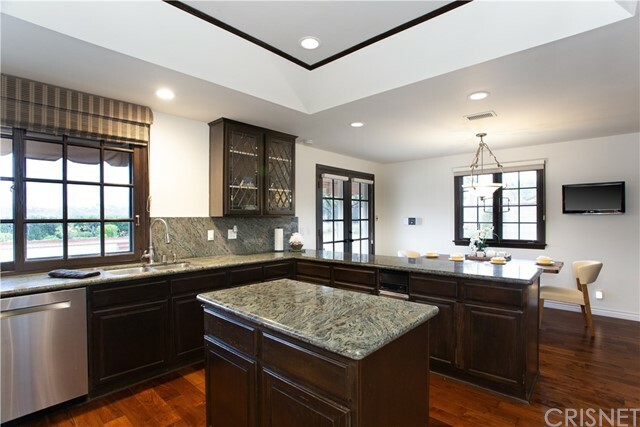 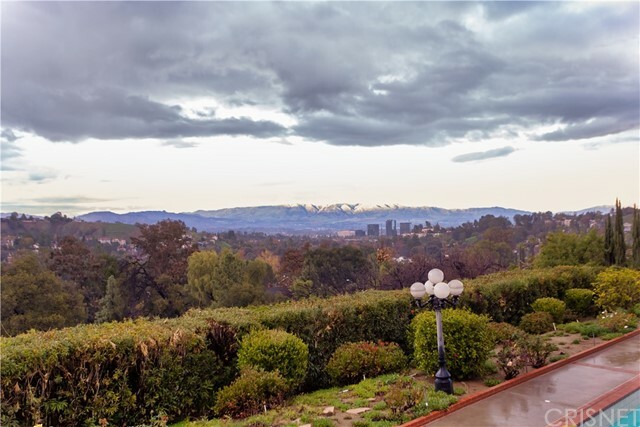 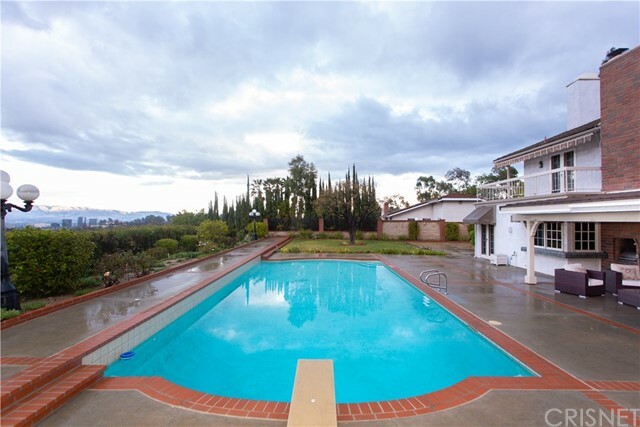 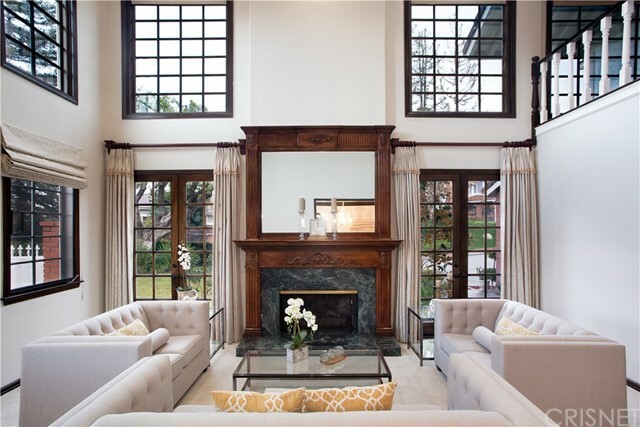 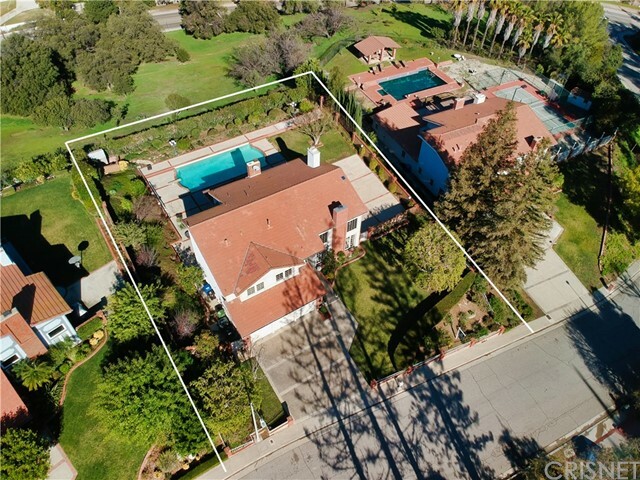 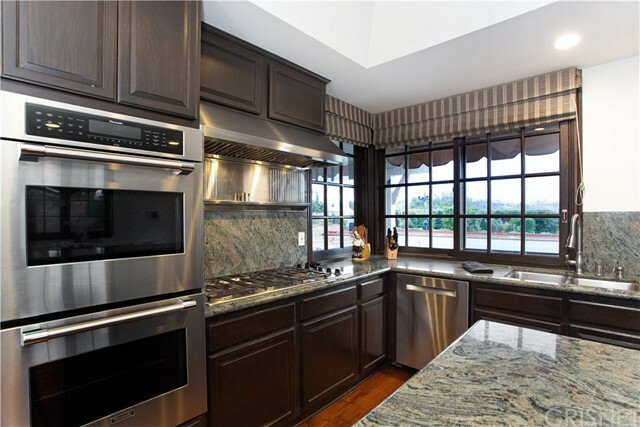 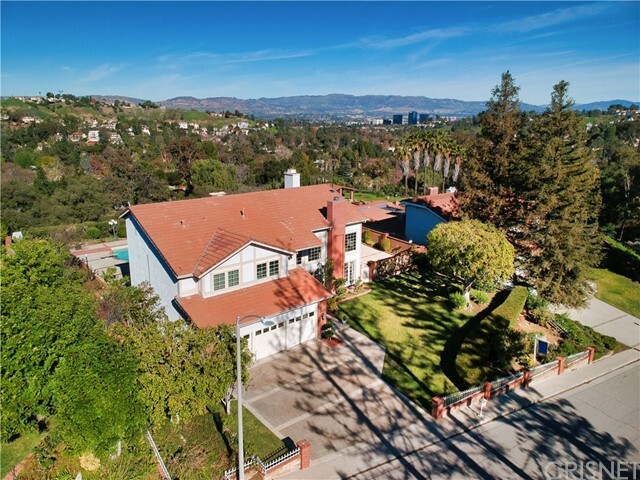 Rare, incredible FLAT view property in an extremely private enclave of homes south of the boulevard adjacent to Calabasas; This updated, 2-story traditional home has mountain, valley, and city views and is located in a very private community of only two cul-de-sac streets. 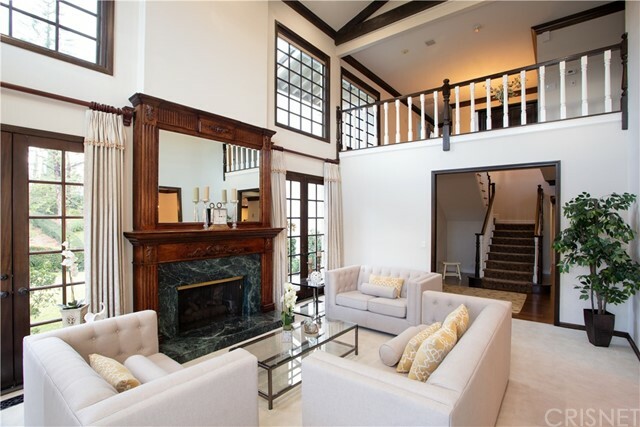 Inside features grand living spaces including a 2-story living room with wood beam ceilings, wood and stone mantled fireplace, and two sets of French doors; a separate family room with wet bar, stone fireplace, and two sets of French doors leading to the backyard; a formal dining room with French doors and direct access to the center island kitchen featuring granite counters, stainless appliances, double ovens, ample cabinetry, breakfast nook, and another set of French doors to the yard! 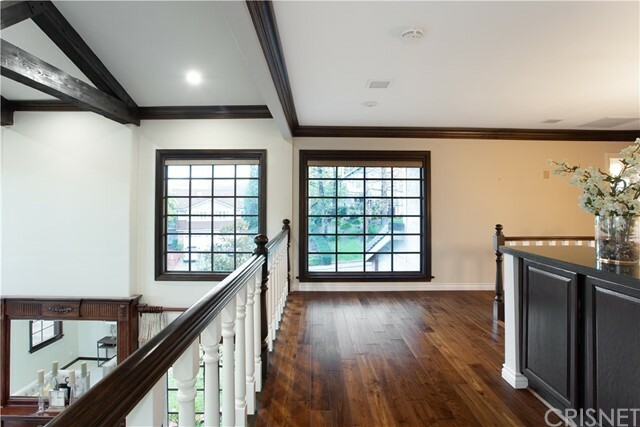 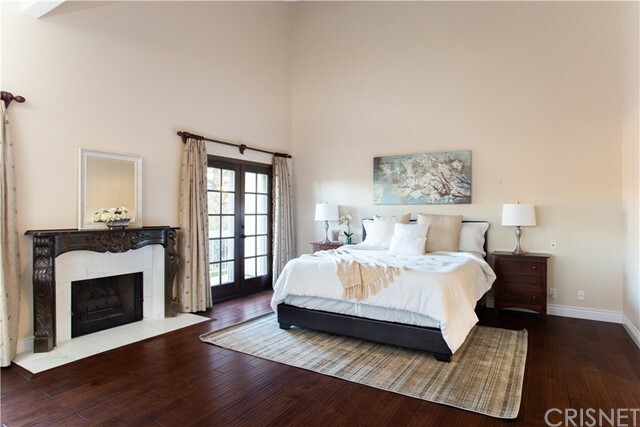 The upstairs master suite features a wraparound balcony overlooking the stunning views, wood mantled fireplace, three sets of French doors, and two walk-in closets. 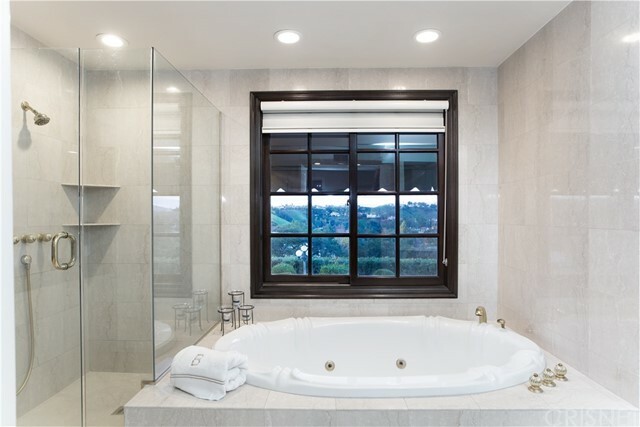 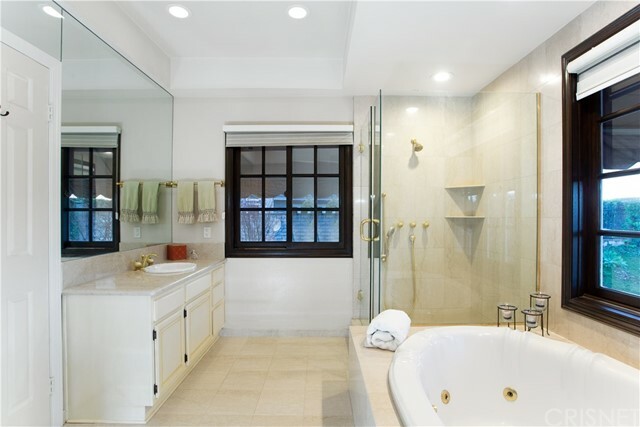 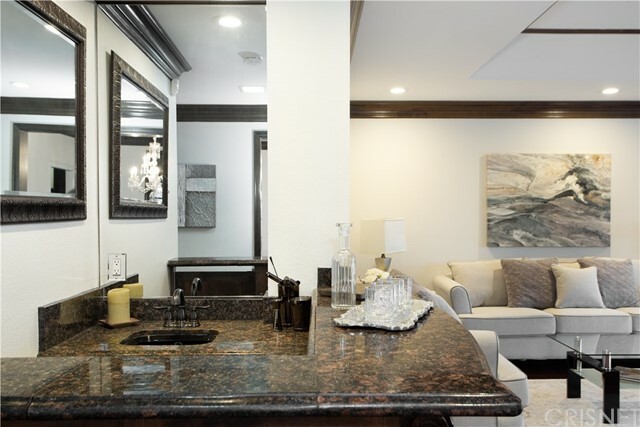 The master bathroom features two separate vanities, walk-in shower, spa tub, and separate vanity counter. 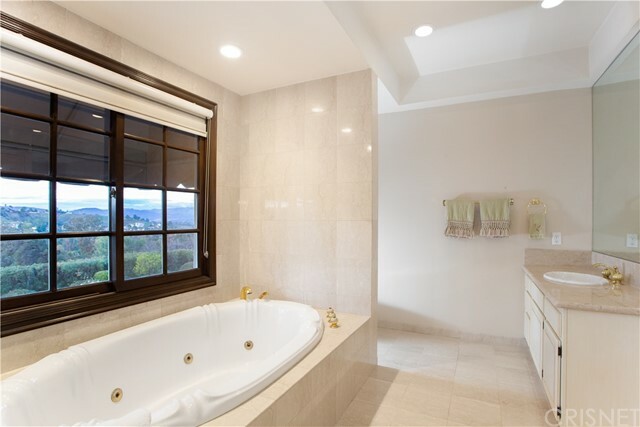 There are three additional bedrooms, including a downstairs guest bedroom with its own bathroom that also serves as a pool bath. 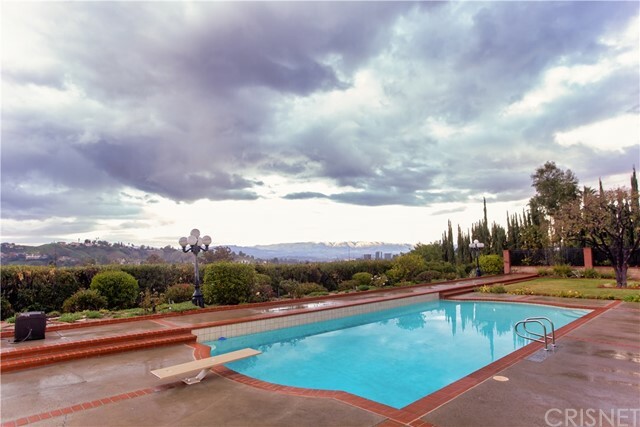 The backyard features a swimming pool with diving board, covered patio with outdoor BBQ, and paved area for basketball/sports court. 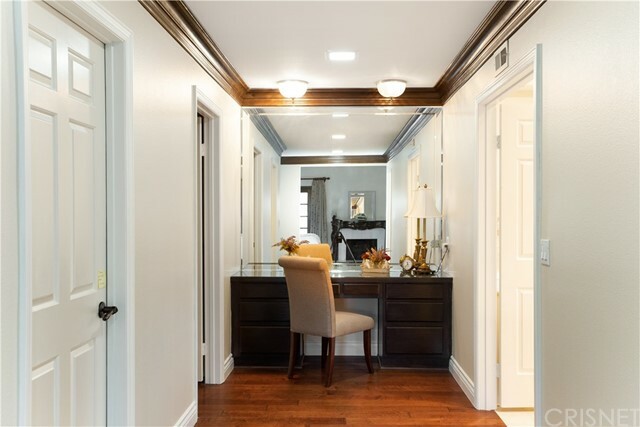 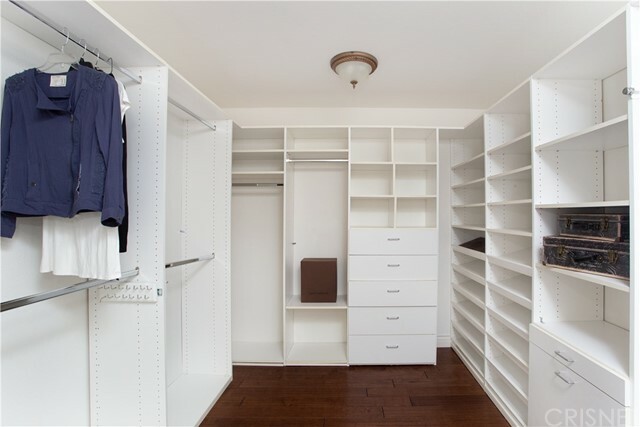 Additional items include laundry room with storage cabinets, three-car garage with resurfaced flooring and electric car charger, tankless water heater, two new HVAC systems, and many other upgrades. 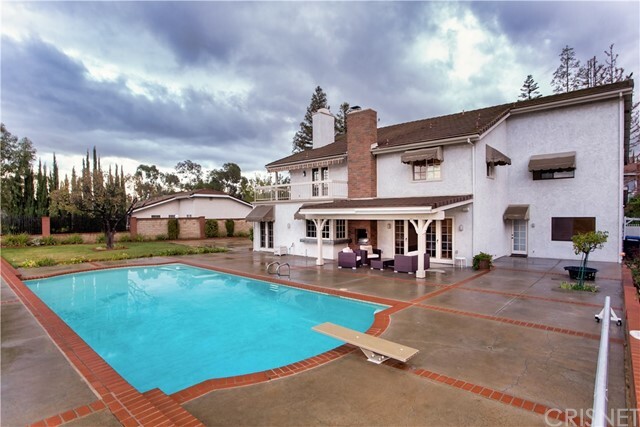 I would like more information regarding the property at 22141 Alizondo Drive, Woodland Hills CA 91364 - (MLS #2852680).